Also referred to as the Indonesian Confrontation, or 'Konfrontasi' in Bahasa, it was an undeclared war fought from 1962 to 1966 in response to the creation of an independent Federation of Malaysia. Sukarno, President of Indonesia, argued that the creation of Malaysia was an attempt by the British to extend colonial rule in the region. The conflict was triggered by an attempt by the North Borneo National Army (TNKU/Azahari's People's Party) to sieze Brunei, a rebellion which was quickly quashed by British forces from Singapore. Increasing military activity along the Indonesian/Malaysian border in Borneo preceded a growing number of cross-border raids. 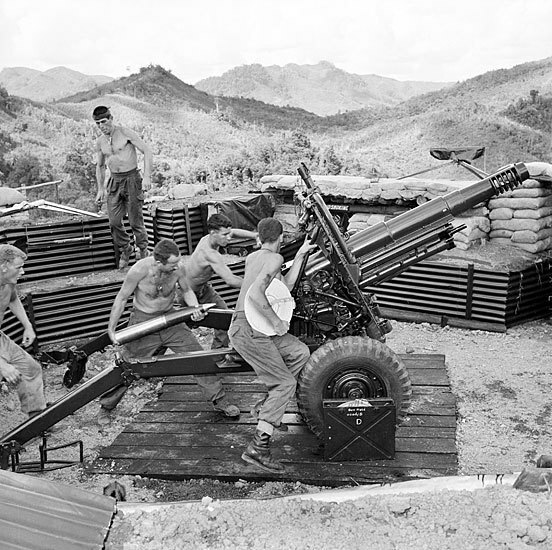 An Australian contingent within the 28th Commonwealth Infantry Brigade Group, which had fought in the Malayan Emergency, was tasked with protecting the Malayan peninsula against external attacks. 3RAR was involved in defensive operations when Indonesia launched raids against Labis and Pontian in 1964. 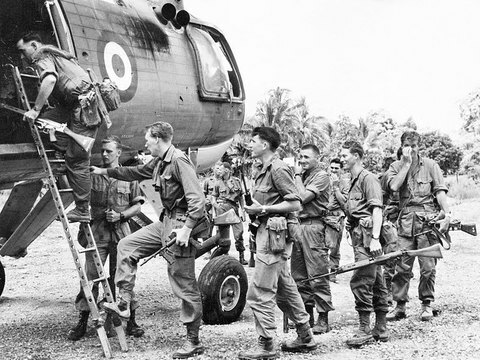 In 1965, Australia's role was explanded to include support for Malaysia in Borneo. 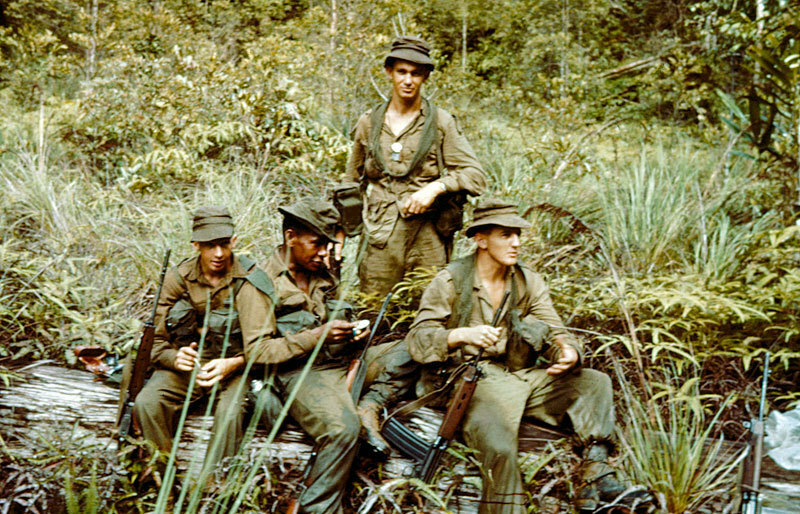 3RAR served in Sarawak on Borneo from March 1965 until July, with 4RAR taking over from April to August. SAS, artillery batteries and Royal Australian Engineer contingents also served. A peace treaty signed in Bangkok in 1966 ended the confrontation in which twenty-three Australians had been killed (7 on operations) and eight wounded. It was largely a covert war, with no acknowledgment of cross-border operations at the time and little coverage in the Australian press, but the sensitivities of open conflict between Australia and Indonesia have left their mark on subsequent international relations. Peter Dennis et al., The Oxford Companion to Australian Military History, second ed., Melbourne: Oxford University Press, 2008, 152-154.